We’re all guilty of having a closet full of things that don’t fit, that we don’t really like, or that we just don’t want anymore. Sometimes, we can feel a bit guilty because some of our items still have a lot of life in them – especially the ones with the tags still on them! It can be hard to let go of things you once loved, haven’t worn, or planned to wear one day, so here are some tips to help you declutter your closet and make room for things you can enjoy! If this all seems overwhelming to you, here’s an easy way to get started. Simply go through all of the clothes, shoes, bags, and accessories in your closet (and the hallway closets) and put them into four distinct piles. Once this task is completed, you’ll be well on your way to closet bliss! The “Keep It” Pile – In addition to your favorite things that you wear regularly, you may find some old faves that were buried deep in the back of your crowded closet. If you truly love it – keep it – it’s that simple! The “Discard It” Pile – If there is absolutely no reason at all that anyone would want the item, no matter how much you are attached to it, it’s time for it to go. Promptly get rid of items that are torn, soiled, severely damaged, or just worn too thin. Think of these items as things that can’t be reused or cherished by someone else. The “Donate It” Pile – There are many great organizations that are in need of clothing donations. If you have items that are still in good shape, there are people that can truly benefit from your generosity. 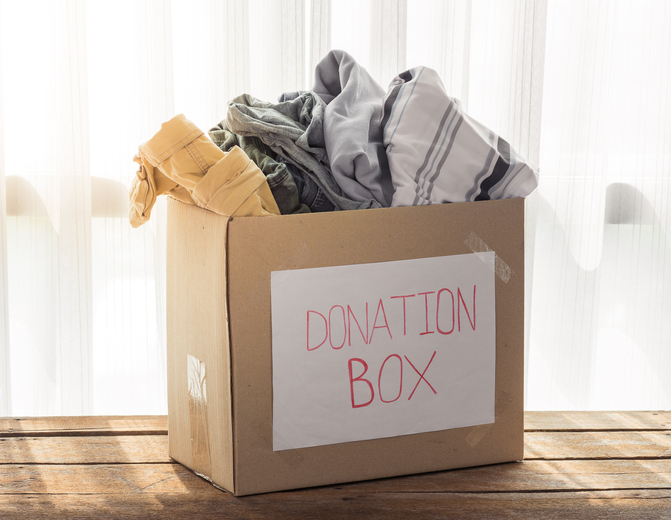 Consider donating gently used clothes, shoes, and accessories to those in need and feel good about doing a good thing and helping others. The “Sell It” Pile – There are several ways to sell those clothes and accessories that are in good shape or still have the tags on them. Contact a local consignment shop or look for buy/sell groups on social media in your area to advertise items. This is a great way to earn some extra money, so you can replace those pieces with fun, new clothes and shoes that you can wear and enjoy this spring! If you’re ready to organize your closet and give your closet a facelift, contact our professional home storage system company such as Closet & Storage Concepts that can help you design, manufacture, and install create the perfect custom closet for your clothes, shoes, and accessories.